Call in Studio - The cloud based call in platform for broadcasters. 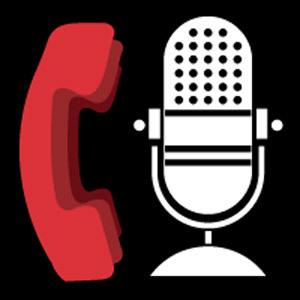 Call in Studio is the cloud based call-in platform for podcasters and broadcasters. Eliminate the need for expensive podcasting and broadcasting equipment and complicated software. Reduce your overhead and pay only for what you use. Ready to give it a try? Click here to create an account. After validating your account, receive a free $10 credit (enough to buy a phone number for one month and make/receive several test calls). Comments, questions or any other feedback is just an e-mail away at mail@callinstudio.com. Thank you for your interest. Call in Studio is a virtual call-in platform designed for Internet and radio show producers. It allows anyone to virtually accept and manage calls from listeners in an easy-to-use, Web based interface. Call in Studio can be used as a plug-in to your existing Podcast or radio station setup. The host (or show producer) will call into the Call in Studio system over a regular phone line. The show's audio feed is fed out through this line (so the callers can hear it) and caller audio is fed into your show through this line. Any combination of equipment and/or software can be used for this purpose. Many customers use Skype in combination with Skype's unlimited calling plan to dial into the show's host line, and then record the contents of that call or output its audio to their recording or broadcast equipment. Listeners call in via your unique call-in number that you've purchased from us. Using our Web interface, the host and/or screener of the show can see a list of all calls on hold, reject them, screen them, and/or place calls "live" on the show with the click of a mouse. Listeners to your show will be amazed that their call-in experience will feel much like that of calling a big radio station call in talk show. When calling your show, the line automatically picks up and places the call on hold. The listener will hear the audio from the show (or optionally hold music, if you desire) until he or she talks to the call screener (if you have one) and/or talks to the host. Search and find a local or toll-free number specifc to your show (not shared with anyone else). Your session can handle between 1 and 35 simultaneous callers. You control how many callers to have on "hold" at any given time (between 1 & 35). Once your lines are "full" additional callers will hear a busy signal. You may have a PIN protected private "guest line" for special guests to call in and bypass the call queue. You may have one or more people screen calls for you, enter notes about the call for the host to read, etc. No screener? Use our auto-screen feature: callers are asked to record a brief message and our speech-to-text engine puts the content of the message in the notes field of the call. Make an outbound call to a guest (or guests) directly from your session and connect them to your show. When your show is offline, listeners calling your show can leave a voicemail. Ban specific callers so they cannot get through to your show or leave a voicemail. Set caller limits according to your preferences (once per week, 2x/month, require caller id, etc.). All telephone prompts are customizable, either by modifying our default text-to-speech prompts or uploading your custom MP3 files. All calls made into or out of Call in Studio are $0.03/min, except for toll-free incoming calls, which are $0.06/min. US/Canadian Phone numbers are $6/mo and toll-free phone numbers are $12/mo. Foreign numbers are also available in twelve additional countries and start at $6/mo. For a full discussion of pricing, see our pricing page. If you need assistance or have any questions about the product, please write to mail@callinstudio.com or call our support line at 818-794-7006. Write to us at mail@callinstudio.com. Questions about our service or need help configuring your show? Call our support line at 818-794-7006 and we'll be happy to help. You can keep up to date with us on Facebook, follow us on Twitter.